More than a century ago, a Canadian World War One soldier lying in a sickbed in a British hospital penned a letter home to Selkirk, Manitoba. Earl Sorel wanted to let the sister of a fellow soldier know about her brother's bravery at Vimy Ridge. He described how soldier Gordon Rochford saved his life early in the bloody three-day battle. 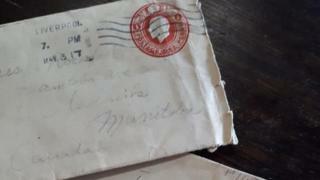 A hundred and two years later, a cafe owner came across the letter and decided to find the men's descendants. Amanda Kehler runs the Prairie Pickers Cafe and antique store in Steinbach, Manitoba, a small city about 60km (35 miles) from Winnipeg. She came across the letter just over a week ago, buried in a stack of old newspapers, certificates and other documents from the 1920s that she had bought for a dollar while out hunting for antiques. The three-page letter was handwritten by Sorel in May 1917 from a hospital bed in Birkenhead, England, where the young soldier was recovering from being wounded at the Battle of Vimy Ridge. Sorel was writing to Pauline, the sister of Gordon Rochford, who was killed in action in April 1917. "On Easter Monday the big advance on Vimy Ridge started," he wrote to her. "The barrage was like a thunderstorm and we were trotting at a good pace. We had gone about 1200 yards. 'Bang'. I felt a sharp burn in my back and left arm. The next thing I remember was Gordon pulling me in a shell hole and he said 'stay there'." It was the last time he saw his friend and military colleague. "It was just the other day in this hospital that I heard that Gordon was killed. He died a hero," he wrote. Sorel and Rochford, both born in the late 1890s, had grown up in the small town of Selkirk and had signed up for the army on the same day. Ms Kehler told the BBC she knew she had found "something special" when she opened the letter. "I knew it didn't feel right to sell it." So she began the hunt for Sorel and Rochford's surviving relatives, something she called both "surreal" and "overwhelming". At first all her leads came up empty. Sorel died in 1969, leaving no children. His nephew had a son, but that son had died in 1992. She said that by digging through ancestry sites, online posts, and messages from possible relatives, and with the help of some archivists and journalists, she was able to locate four descendants. "It [was] a giant puzzle basically," she said. She found grandnephews and grandnieces of both men and spoke to two of them. She says they all want the letter to be placed in a museum. Ms Kehler hopes the letter will be displayed at the Canadian Vimy Ridge Memorial in France. "I want Earl Sorel and Gordon Rochford to be remembered," she said on Facebook. "Hiding them in an archive wouldn't be the right place." 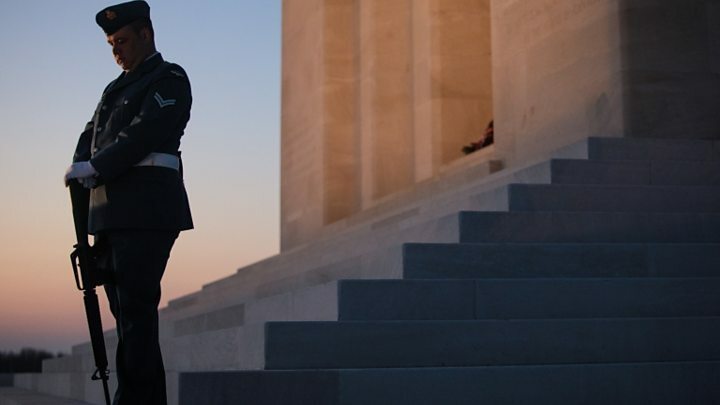 The Battle of Vimy Ridge was one of the defining moments for Canada, which was then still a very young country. Some 3,600 Canadians died in the battle in northern France, which began on Easter Monday, 9 April 1917. Many thousands more were wounded during the fighting. It was the first time different Canadian military divisions had fought together under one command. Success at Vimy Ridge was the result of intense training over several months. Despite the heavy losses, it helped forge Canada's identity on a global scale only 50 years after it had become an independent dominion.